Pickup trucks are a popular vehicle in the United States. Unfortunately, many models are not equipped with a backseat. 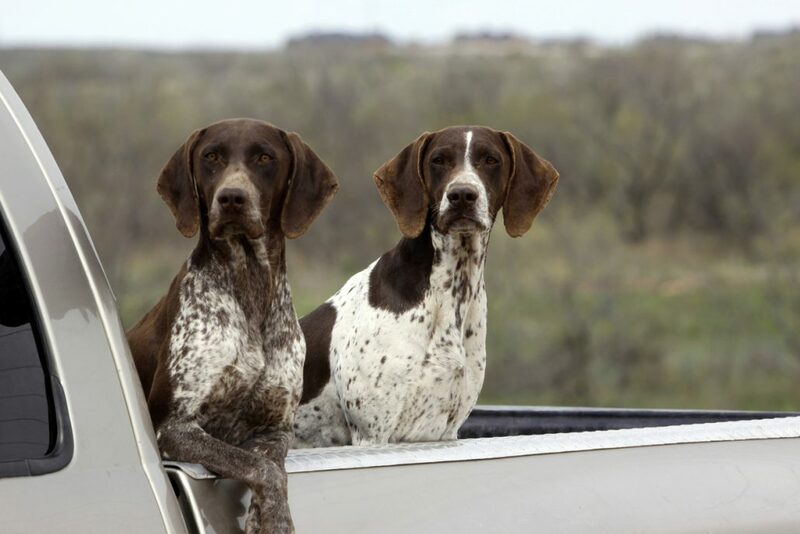 Even with four-door models, dogs are often put in the truck bed to protect the vehicle from shedding and dog dirt– and to give Fido some fresh air. Putting your dog in a truck bed, even for a short ride, is a HORRIBLE idea. In fact, American Humane reports more than 100,000 dogs to die each year from truck bed accidents. Some of the issues are obvious: Dogs are not protected while on a truck bed. They are not secured by a doggy seat belt nor protected from other vehicles, flying debris, or shortstops. Not only are dogs vulnerable to what humans can control, they are also DOGS. Even well-trained dogs are still naturally curious and have been known to jump out of truck beds to investigate whatever has piqued their interest. Also, naturally calm, well-adjusted dogs can still get spooked and jump out causing catastrophic results. There are reports of dogs being fatally injured from jumping out of truck beds– and humans in other cars trying to avoid them with devastating consequences themselves. Another reason not to put your dog in a truck bed is wind. Even driving at average speeds can put pressure on your dog’s lungs as he inhales. The risk, of course, increases as your speed increases. In addition to breathing issues, high winds can cause flying debris that can hit your dog in the face. Even small particles can cause serious injuries, like small pebbles hitting your dog in the eyes or your dog inhaling bugs up his nose. Weather is another factor. Even on a pleasant 70-degree day, the sun can heat the metal of the truck bed up. There have been reports of dogs with second and third-degree burns on their paw pads from truck beds AND even heat stroke. The heated metal surrounds Fido. Since he cannot sweat like we do or may not have access to water, he cannot cool down. Heat stroke can kill! Putting a dog on a leash in the truck bed is also a VERY BAD idea. Dogs have been reported to have strangled themselves with frequent movement, shortstops, and accidents– resulting in death. Another risk is if you do get into an accident, your dog may get spooked and take off, resulting in a missing or lost pet OR EVEN Fido being hit by another vehicle. You may see articles suggesting you put your dog in a cage and secure it to the truck bed if necessary BUT this is a false sense of security. Accidents, especially ones causing the truck to roll over, give Fido NO CHANCE to get out before a serious injury is sustained. It’s also likely your dog is NOT happy in the back of a pickup. It’s a scary place to be! With wind gusts, loud highway noises and no security, dogs grow increasingly anxious.